To be good at swimming you need to attend conscientiously throughout the year otherwise it takes your child a lot longer to learn the skills needed to be a competent swimmer. 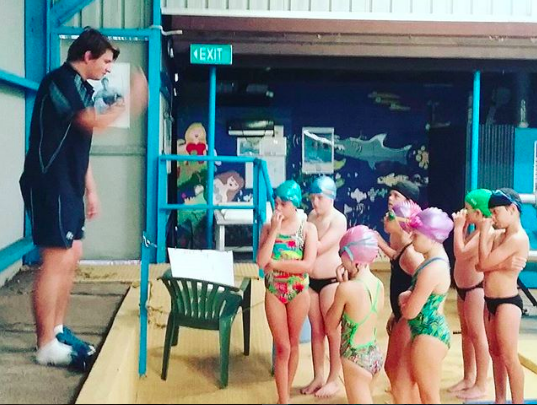 Our Swim School has a unique program, we teach children to swim correctly. We are teaching your child a skill for life, improving their co-ordination and building their self-confidence. Your lesson payment is due when you first commence lessons, payments are for full term. When you are already attending lessons your payment for the next term is due on the first lesson of the term, this will ensure that your booking is secure. When you book to attend our intensive 2 week courses your payment is due in full on the first day of the course. Refunds for lessons are not available, if you are leaving Wollongong then ensure that you give us the date of your last lesson and you will only pay until that date. If your child is sick and unable to attend lessons then please let us know by phone. You will then be able to attend a make up lesson with in that term. Make up lessons cannot be taken in place of your regular lesson, nor are they able to be credited to next term fees. Please note that make up classes are only available on specific days and times. Bookings are essential for make up classes. There is no make up lesson on a missed make up class. 3. What temperature is the water? The pool temperature during summer is kept at 30 degrees C. During the winter months the pool temperature is at 32 degrees C.
All classes should be attended twice per week throughout the year to ensure an adequate rate of progress. If your child is only able to attend once per week please remember that this is a long time between classes and the children are unable to build fitness for swimming so that their rate of progress is slower. Those swimming more than once per week receive a discount on lessons. Assessment for the new starter are separate from lessons, they are free of charge. The child is assessed quickly to find the correct class without wasting precious lesson time. For regular classes all children are assessed at the end of the month. If your promoted at this time you will need to rebook a new class at the desk. You are not able to just take your child to the next level as we have limits on each class. Please be aware that the car park is not available before 4pm weekdays under any circumstances. The car park is available during school holidays but please make sure that you adhere to the speed limit.